What Are The Do's & Don'ts Of Blog Commenting? Although the majority of blog comment links are no follow in today’s world, they can still play an important part in your SEO campaign. Despite blog commenting being an ‘old school’ strategy, it is still one that can be utilized to great effect, particularly if you’re in an industry where traditional platforms like blog comments and forums have been abandoned for the more popular social media websites. That said, for everyone who makes the most of the potential of blog commenting, there are those who simply abuse it and will eventually end up receiving a Google penalty. This will probably be sooner rather than later, too, as webmasters report spammy comments as quickly as possible so they aren’t penalized themselves for having such posts featured on their website. Here are the do’s and don’ts of blog commenting that you need to observe. If you’re taking the time to comment on blogs that no one reads, then you’re not going to see any benefit whatsoever. Instead, use a platform like compete.com to discover which blogs are getting the most traffic, and give your attention to these. Remember that you’re only going to comment on those that are directly relevant to yourself. No trying to make a link or a connection when they’re isn’t one! You don’t need to comment on every blog post you come across. Not only will this take up a lot of time, but a webmaster or writer is likely to spot if the same person is writing a similar comment on all of their blogs, and as such will report you for spam. If you’re commenting on blogs for your SEO campaign and online presence, best practice is to list the blogs you’ve commented on, and the dates when you have done so, so that you can space out your visits. If you’re familiar with blogs and blog commenting already without actually doing so yourself, then you’ll be aware of the common posts that simply say, “Thanks for the great post,” or similar words to that effect. You shouldn’t need us to tell you that this isn’t what you should be doing. What you ought to do is actually read the blog first. So, for example, if you were to head to the Bough SEO website, you wouldn’t simply click on the first thing you saw and add a comment related to your industry, be that SEO or something else, as it might be irrelevant to the post and it’ll probably be moderated anyway. Your comment should contribute to the conversation. If you have nothing of value to say, then say nothing at all. Okay, so what are we actually saying here? If we take the example from immediately above, you would be okay to comment on an SEO blog if you weren’t in the industry if, for example, you were interested in finding out more about SEO or wanted a specialised service related to what you do. A better example might be if you sell men’s clothes. You could diversify your blog commenting by finding a blog aimed at parents, as these will typically be about partners and relationships as much as they are about children. 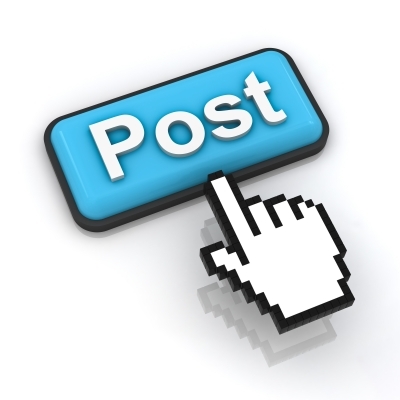 Diversify where you post, but ensure you only choose specific articles to comment on when they’re relevant. About Author: Kathy loves SEO and believes that people shouldn’t be forgetting the traditional methods of link building and networking despite the evolution of the industry. Kathy believes that the impact of Google Panda and Google Penguin has been overstated by many, and that by keeping things simple everyone can enjoy successful SEO.